Living a Fit and Full Life: Get Holiday Ready with IT Cosmetics! 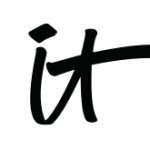 Get Holiday Ready with IT Cosmetics! Innovative Technology is IT. Developed with leading plastic surgeons, IT Beauty® creates clinically proven, innovative problem-solving makeup and skin care products that harness cutting edge, anti-aging technologies and high performance, skin-loving ingredients to provide you with serious beauty solutions that help you look and feel your most beautiful! IT Beauty® believes great makeup can give you great skin, and they create innovative cutting-edge products that get you compliments on your skin, not your makeup! Their mission is to empower you through confidence in your skin, your makeup and your own beauty. 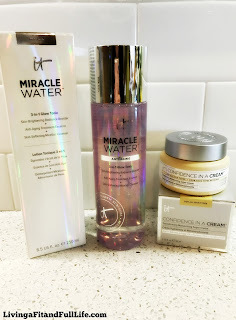 Developed with plastic surgeons, Miracle Water™ 3-in-1 Glow Tonic instantly transforms your skin and maximizes the benefits of your skincare routine! This lightweight no-rinse product combines your Skin-Brightening Radiance Booster to help purify, balance and brighten the look of your skin, your potent Anti-Aging Treatment Essence to diffuse the look of lines and wrinkles, and your Skin-Softening Micellar Cleanser to gently attract, trap and remove dirt, oil, impurities and makeup—all in one simple step. Infused with Secret Sauce™ Fermented Complex, a clinically advanced combination of 7 penetration-enhancing fermented ingredients, Miracle Water™ helps to increase absorbency and improve the efficacy of your moisturizers and serums. With anti-aging peptides, hydrolyzed collagen, rose, aloe, rice, chamomile, green tea water, licorice root and vitamin C—plus illuminating Drops of Light Technology™ Concentrate and diamond powder—it also gives you a youthful, lit-from-within glow! Use it after cleansing or in place of your cleanser for powerful results immediately and over time. Developed with plastic surgeons, the leading experts in skin rejuvenation, Confidence in a Cream™ is a quick-absorbing super cream that transforms your skin for a supple, healthier, younger-looking appearance. The proprietary Anti-Aging Armour Rejuvenating Concentrate™ combines collagen and hyaluronic acid to plump fine lines and wrinkles, while niacin, peptides, a super ceramide complex and other high-performance ingredients are activated upon contact to immerse your skin in moisture, smooth texture, enhance firmness, and reduce the look of pores and discoloration. Perfect for all skin types, you’ll see powerful results instantly and more dramatic results over time! This breakthrough color-correcting cream never creases or cracks and instantly camouflages skin imperfections including dark spots. Plus, it’s infused with an advanced anti-aging serum made of hydrolyzed collagen, peptides, niacin, hyaluronic acid, antioxidants and vitamins A, B, C and E that work in harmony to diffuse the look of wrinkles, enhance skin brightness, minimize pores and give you a more radiant, supple and flawless-looking complexion. Developed with plastic surgeons, this best-selling, award-winning, cult-favorite waterproof concealer delivers highly pigmented, long-lasting coverage that won’t crease or crack. Infused with high-performance pigments and anti-aging peptides, vitamins, hydrolyzed collagen, hyaluronic acid and antioxidants, the game-changing formula improves the appearance of wrinkles and effectively conceals the look of skin imperfections including dark circles, bags, redness, hyperpigmentation, broken capillaries, age spots and discoloration. 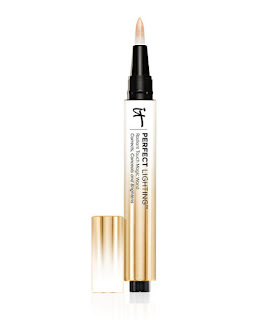 Finally, a multitasking, full-coverage concealer that makes your skin look younger! Developed with plastic surgeons, experts in facial aesthetics, Perfect Lighting™ instantly corrects, conceals and brightens the look of your skin with just one touch! 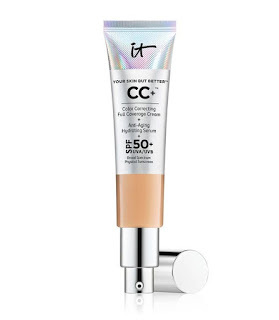 This innovative concealer and correcting brightener utilizes Drops of Light Technology™ and hydrolyzed pearl to add subtle radiance without glitter or shimmer, and brings your best features forward while neutralizing, correcting and blurring the appearance of skin imperfections. Infused with anti-aging peptides, hydrolyzed collagen, hyaluronic acid, licorice root and green tea, this skin-loving product is a must-have for every IT Girl’s makeup bag—and your magic wand for the look of light of lift! Transform your eyes with this must-have, universally flattering, game-changing palette featuring 12 all-new Superhero™-inspired shades. Developed with plastic surgeons, each anti-aging, ultra-luxe eyeshadow is formulated with hydrolyzed collagen, silk, peptides and antioxidants, plus innovative Superhero Pigment Power Technology™ for super smooth, super skin-loving, super saturated shades that last from day to night! Experience your flawless Superhero™ Nudes, Superhero™ Neutrals and Superhero™ Liners, as well as your groundbreaking Superhero™ Eye Foundation™ eyeshadow base shades in three super wearable colors that are perfect for all skin tones! Developed with plastic surgeons, Superhero™ Liner gives your eyes SUPERHERO™ powers and instant definition in one simple stroke. Whether you want to create thin, thick or cat-eye strokes, this innovative liner pen makes it easier than ever—and features a unique IT Cosmetics™ Heavenly Skin™ brush hair tip that literally does the work for you! Unlike typical felt-tip liners, this luxurious brush hair tip won’t fray and applies your liner with effortless precision. Featuring proprietary Elastic Stretch No-Skip Technology and a Triple Black Pigment Complex, your Superhero™ Liner creates a super saturated, super black, super flawless line that won’t budge or smudge and becomes one with your lashes—no gaps or empty space! Combined with lash-loving superpower ingredients including peptides, collagen, biotin, keratin and kaolin clay, this groundbreaking liner truly transforms your eyes and saves the day. You do IT all… now your liner does, too! Give your lashes SUPERHERO powers with a game-changing mascara that’s clinically shown to give your lashes super volume, super length and super elastic stretch in just one coat! Developed with plastic surgeons, Superhero™ mascara is skincare for your lashes. The proprietary Elastic Stretch Technology stretches the look of your lashes wider and longer, and wraps each individual lash in a volume-boosting, lengthening, ultra-conditioning black cape of power and color for your strongest, thickest, most defined results. Powerful lash-lifting polymers, volumizing collagen, strengthening biotin, proteins and peptides combined with Super Black pigment and the Lash-Changing Power Brush work together to coat every lash from base to tips—lifting lashes while separating them to create a fuller lash line and ensure that no lash is left behind. The super-buildable formula literally takes your lashes to new heights and puts lash power at your fingertips; simply apply more coats for additional volume and length. You do IT all… now your mascara does, too! 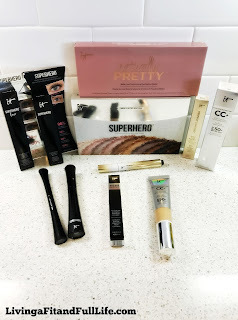 Get Holiday Ready with IT Cosmetics! IT Cosmetics are the perfect way to achieve just the right look you desire. IT Cosmetics are perfect for everyday use and will help you look your best this holiday season! 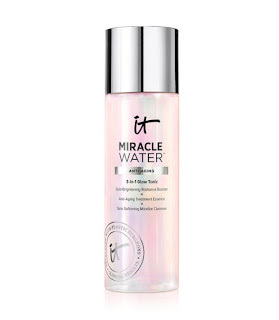 IT Cosmetics' Miracle Water™ 3-in-1 Glow Tonic is amazing! I absolutely love how it gently but effectively cleanses my skin. It removes every trace of dirt, makeup and excess oil revealing fresh healthy skin. I also love that it does all this without drying out my skin! 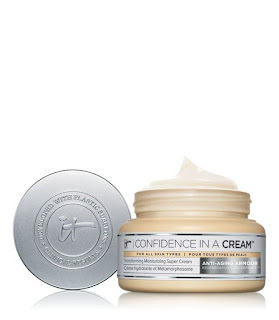 IT Cosmetics' Confidence in a Cream™ is an amazing facial cream! My skin is instantly soothed as soon as I apply it to my skin. I also love that my skin instantly looks more radiant and healthy. It's the perfect way to keep your skin hydrated this winter and does wonders to keep those fine lines at bay! Your Skin But Better™ CC+™ Cream with SPF 50+ by IT Cosmetics is the perfect base and instantly camouflages skin imperfections to reveal a glowing healthy look. I love the way it feels on my skin and my skin seems to love it too! My skin seems healthier than ever and I love that it contains an SPF to protect my skin from harmful rays that age my skin. Your Skin But Better™ CC+™ Cream with SPF 50+ is the perfect CC cream to help you look your best! 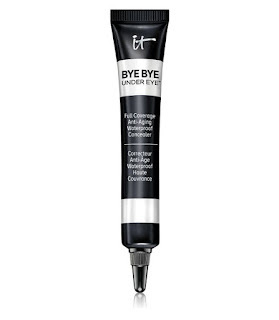 IT Cosmetics' Bye Bye Under Eye™ is an amazing weapon to keep your under eye area looking young and healthy! It's infused with high-performance pigments and anti-aging peptides, vitamins, hydrolyzed collagen, hyaluronic acid and antioxidants. I also love that it improves the appearance of wrinkles and effectively conceals the look of skin imperfections including dark circles, bags, redness, hyperpigmentation, broken capillaries, age spots and discoloration. It's a terrific way to achieve the perfect eyes this holiday season and beyond! IT Cosmetics' Perfect Lighting™ is my new favorite product! It instantly corrects, conceals and brightens my skin. I absolutely love the radiant look this product helps me achieve. It goes on with ease and keeps me looking my best all day long! It's my new magic weapon! 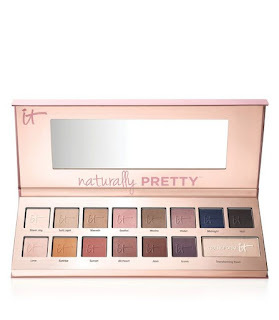 Naturally Pretty™ Matte Luxe Transforming Eyeshadow Palette by IT Cosmetics is a beautiful palette! I love that it comes with a variety of shades that all blend extremely easily allowing me to create the perfect look. I also love that each shade is infused with hydrolyzed collagen, real silk, peptides and proprietary No-Tug Technology™. Each shade is talc-free and glides with ease to brighten your eyes and smooth your lids. It's a terrific way to get beautiful eye's that stand out! 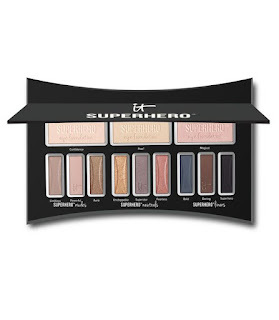 Superhero™ Eye Transforming Anti-Aging Super Palette by IT Cosmetics is also a phenomenal palette! It has a variety of shades and I have to say that I honestly do love every shade in this palette. It contains flawless Superhero™ Nudes, Superhero™ Neutrals and Superhero™ Liners, as well as your groundbreaking Superhero™ Eye Foundation™ eyeshadow base shades in three super wearable colors that are perfect for all skin tones! This palette is the palette that dreams are made of and will surely give you dreamy eyes that will make you stand out from the crowd! 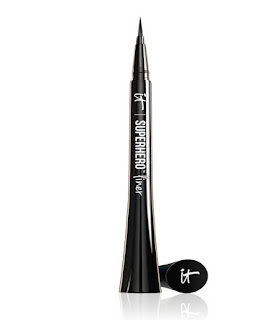 IT Cosmetics' Superhero™ Liner is one of my all time favorite liners! It glides on with ease and I love that it allows me the ultimate control to create my desired look. There's no sticking or skipping which allows you to achieve a smooth line just like a makeup pro! 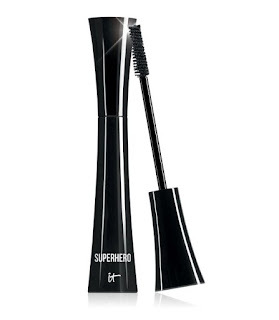 IT Cosmetics' Superhero™ Mascara is a terrific mascara! I love that it too glides on with ease and is extremely buildable. My lashes look amazing with this mascara! Each lash is lengthened and thickened allowing me to look my best without the use of false lashes! IT Cosmetics has so many amazing products to keep you looking your best! Click HERE to find a store near you that sells IT Cosmetics! Click HERE to learn more about IT Cosmetics! Follow IT Cosmetics on social media! Disclosure: I received product(s) for free, in exchange for writing this post. Twinkle Play Tents are a Huge Hit with Kids! Take Back Your Health with NutriGold!